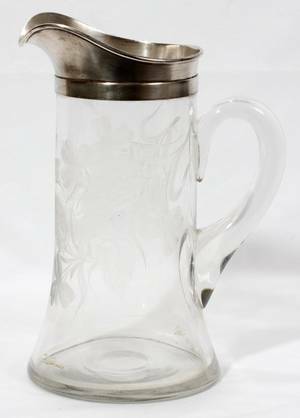 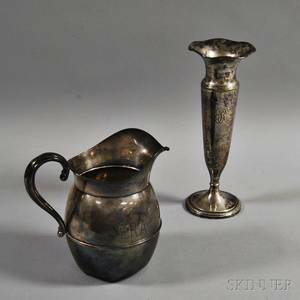 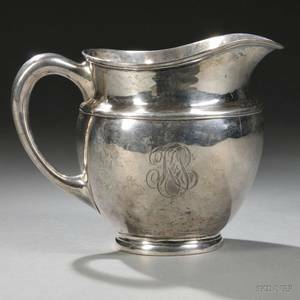 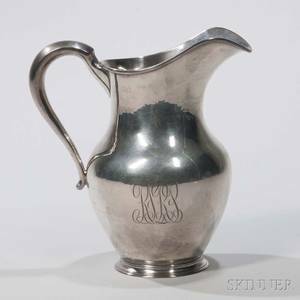 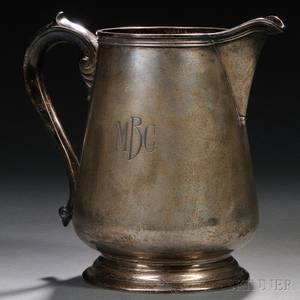 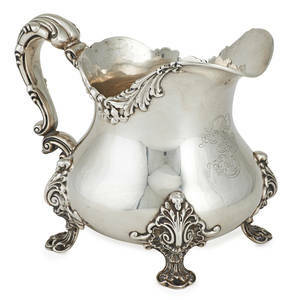 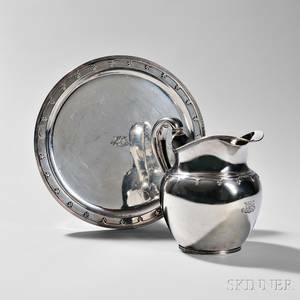 Boston sterling silver pitcher by Bigelow, Kennard & Co. , 13" h., approx. 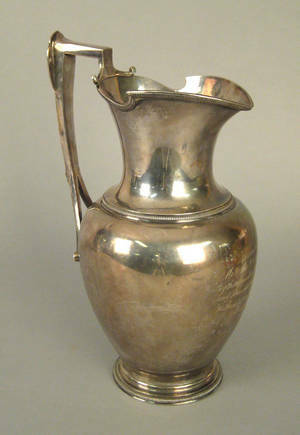 35.5 troy oz. 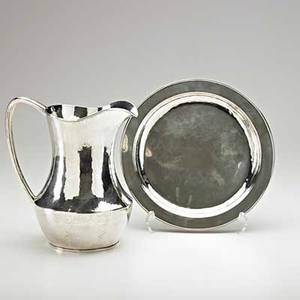 Kalo; hammered sterling silver pitcher and plate, chicago, il; both pieces stamped sterling kalo; pitcher: 9" x 8", plate: 10" dia. 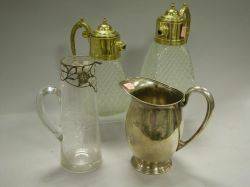 Sterling Silver Pitcher a Pair of Gilt-metal Mounted Pressed Glass Carafes and a Si Silver Overlaid Glass Pitcher.